I just want to tell you how much this project has helped our families at International Elementary School. This has always been a needy area; however, in the twelve years I have been here there has never been such a high number of homeless families. There are actually so many families that are in need that we have found that we need to keep a spreadsheet so that we know who we have given to and that we rotate each week so that we can help as many families as we can. There is such desperate need that we are not helping as many families as we would like to. Maricela is a parent that would always help the school with fund-raising, PTO meetings, you name it. This year, however, her life has changed. Her husband and father of three had a major stroke that left him paralyzed. Maricela who had never worked is now working to support her family. They had to move to an apartment that was less expensive and his mother had to move in to assist with daycare so Maricela could now work. The family has really been struggling financially not to mention the heartbreak of seeing him suffer. Another story is our little Isaiah who comes in late everyday because he is homeless and sometimes has to travel further to get to school. He usually has not had breakfast and sometimes has not had dinner because they didn’t get back to the shelter in time to eat dinner. We always have something for him to eat in the office because he cannot concentrate on school work when his belly is empty. 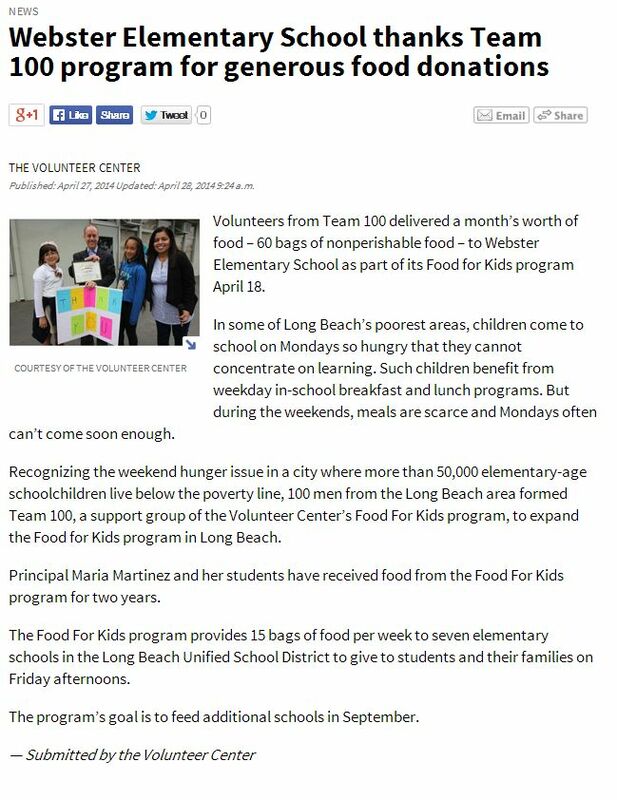 If you ever question whether your program actually helps, please know that without the food that your program provides a lot of families would go hungry. I only wish that we could help more but are so grateful that we could help any at all. It is hard to tell some families that we cannot give them anything this week but maybe next week but we find we have to do that a lot these days as there are just so many that need help. Again we would like to say thank you for all that you do and please tell your donators that they really do make a difference and without their generous donations all the little Isaiahs would go hungry and the families going through personal and financial struggles would find it even more difficult to put food on the table. Thank you again for all that you do. 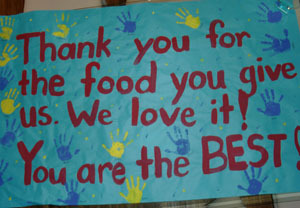 Click here to read another story on Food for Kids in the Press Telegram.